Two Morecambe youngsters have signed their first professional deals with the club. Midfielder Charlie Bailey, 17, and striker Jack Kelleher, 18, have signed one-year contracts after impressing in the club’s academy. Shrimps boss Jim Bentley said: “We had a look at both lads last year as they trained with the first team on a couple of occasions and did really well. “Both of them have great attitudes and impressed us in the youth sides. 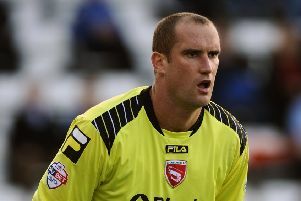 Lancaster-born Bailey has been with the Shrimps in their development system since he was 13 and went to Central Lancaster High School. Kelleher, a former Everton youngster from Liverpool, was a student with Lancaster and Morecambe College who impressed in the reserves last season and had a loan spell with Kendal Town in the Evo-Stik FIrst Division North.